This statistic displays the number of apps used on smartphones in the United Kingdom in 2013, by user gender. 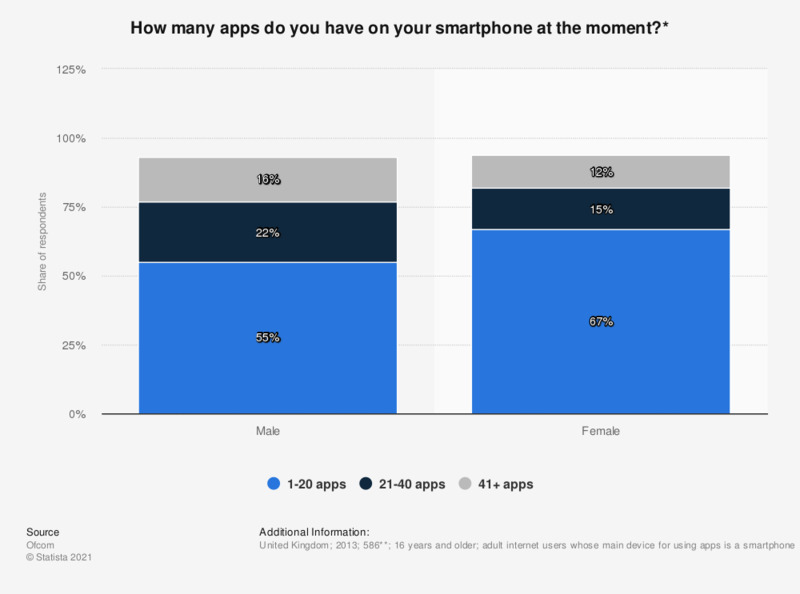 In 2013, 67 percent of female smartphone users reported having 1 to 20 apps on their device. ** n (males) = 286; n (females) = 300. Figures do not sum 100 percent. Source provides no explaination.